When Taylar and Jordan were considering their wedding they knew they were going to celebrate it in the Windy City. They are both HUGE Chicago sports fans so having their ceremony and reception at the Chicago Sports Museum was an easy choice! 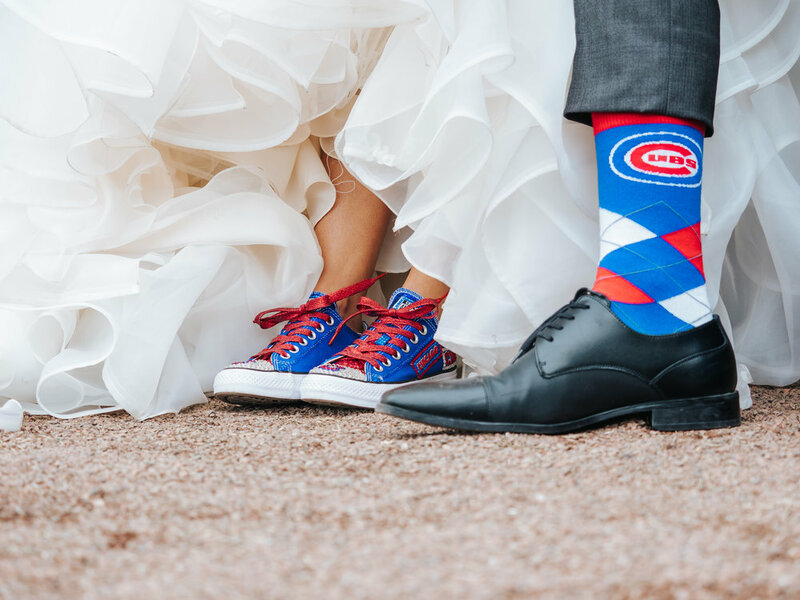 Their wedding screamed Chicago from head to toe - the bride even wore custom Chuck Taylor’s that were Chicago Cubs themed! 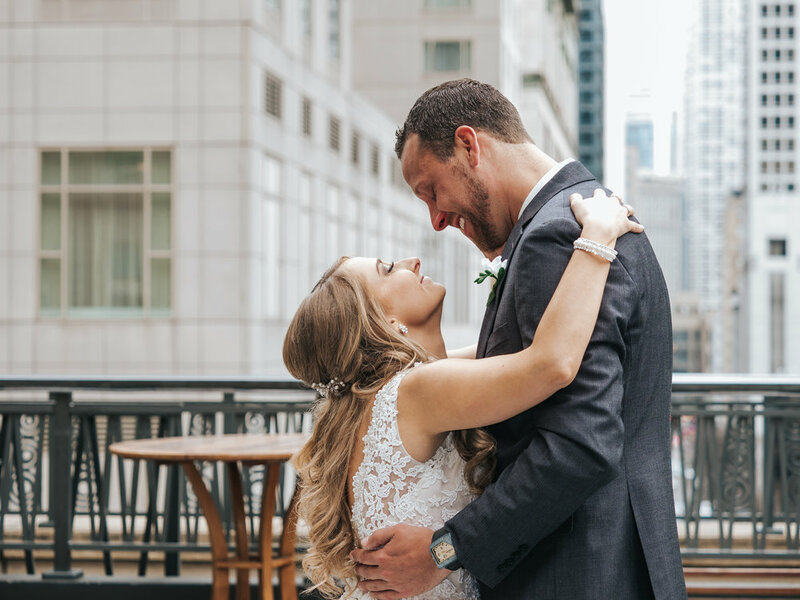 The couple wanted their guests to experience all of their favorite things in Chicago and hosted their rehearsal at The Drake Hotel and then dinner at Gino’s East in River North. Did you know they have a huge private room you can book for events? Everyone LOVED it! 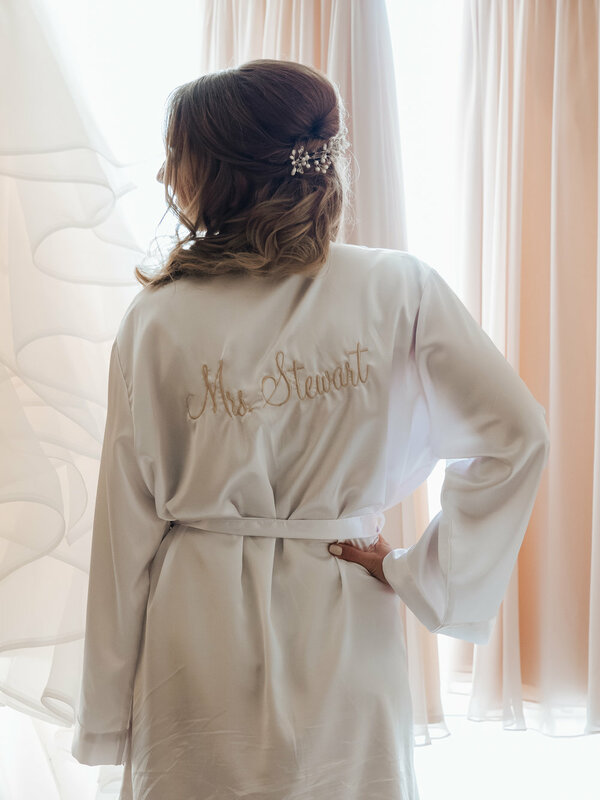 On wedding day Taylar and her bridesmaids and Jordan and his groomsmen enjoyed city views from their Park Hyatt Suite while they sipped champagne and their favorite craft beers. Once Taylar was in her stunning ball gown wedding dress they elected to do a first look on the terrace. Little did the groom Jordan know that Taylar had a surprise in store for him immediately following. As the wedding party made their way onto their Cloud 9 Party Bus the question of “where are we going?” starting to get questioned...thankfully Windy City Productions was there to capture the moment when they arrived to WRIGLEY FIELD! The famous marquee greeted them with a “Congratulations Jordan and Taylar” before they headed inside to take photos ON THE FIELD! Guests began arriving to the Chicago Sports Museum where ceremony, cocktail hour and reception were going to be held. The ceremony began with the bride's family musically performing as the wedding party walked down the aisle. The couple elected for a non-traditional approach to flowers and instead their wedding party held large marquee letters that spelled out “LOVE”. Immediately following the ceremony the garage doors opened at the Chicago Sports Museum and guests were invited to grab a cocktail and explore the interactive museum while the DJ team at Treblemonsters got the party started! When everyone was escorted to their seats they discovered they each had their own personal named pennant place card (HOW COOL!). Soon after they were treated to Chicago themed food that included mini italian beefs and Garrett Popcorn. The couple had a traditional cake and also wowed their guests with a HUGE skyline cupcake tower! We would have loved to try some from Oak Mill Bakery!